Mrs. Clara Cookie Douglas, 87, of Center Point, AL passed away on October 28, 2018. 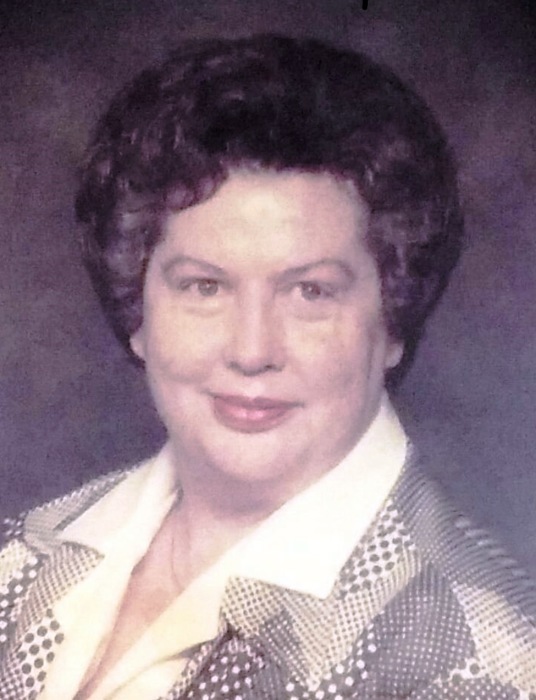 She retired from ALTEC Industries as a Data Entry Clerk, was a devoted member of Hilldale Baptist Church, and was a graduate of Woodlawn High School. Clara was an avid doll collector, worked hard for her family, enjoyed swimming, and was the youngest of five girls. Most importantly, she loved her family. She is preceded in death by her husband, Cecil Douglas; son, David Alan Douglas; sisters, Louise Outlaw, Virginia Hall, and Catherine Shannon; and parents, Ralph and Lillian Cook. She is survived by her sons, John Michael Douglas and Mark Paul Douglas (Sonya); daughter, Linda Williford (Arvin); grandchildren, Steven Williford (Sandra), John Williford (Kelli), Daniel Williford (Erica), Amanda Douglas, and Alyssa Douglas; great-grandchildren, Clara, Lincoln, Bonnie, and Graham; and sister, Gracie Armstrong. A visitation will be held on Thursday, November 1, 2018 from 12:00pm to 2:00pm at Jefferson Memorial Funeral Home in Trussville. The funeral service will begin from the funeral home chapel at 2:00pm with Pastor Dallas Culver officiating. Interment will follow at Sunrise Memorial Gardens in Pinson, AL.